At the end of last week, Valve announced revisions to how profits are shared with developers that sell their games on Steam, the company's massive digital distribution platform. This has lead to an ongoing conversation about profit sharing, and Epic Games, the developers behind Fortnite, have chimed in (maybe unintentionally) by announcing the Epic Games Store. 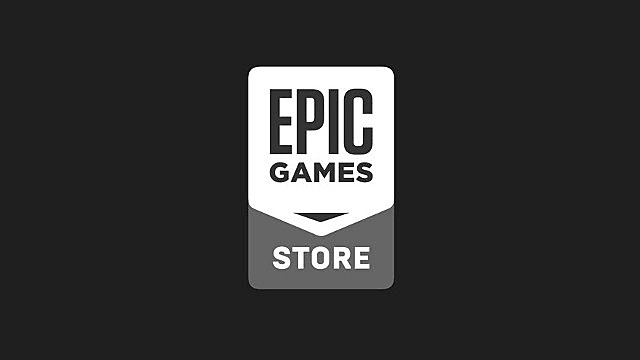 The Epic Games Store is a new distribution platform for game developers, and it will launch with a group of games selected by Epic. It has been indicated that some of these launch games will be announced at Thursday's The Game Awards, and more details on the Epic Games Store are likely to come as well. From there, the platform will open up to include more titles in 2019. Prior to Valve's aforementioned revisions, the company received 30%of all revenue generated from Steam sales. Now, Valve has given incentive for the most successful games to stay on its platform by cutting the take to 25% when a game reaches $10 million in sales and to 20% when it reaches $50 million. This is a potential response to the ever-growing options for digital distribution, though it does not help the small indie developers that are likely to need it the most. As a developer ourselves, we have always wanted a platform with great economics that connects us directly with our players. Thanks to the success of Fortnite, we now have this and are ready to share it with other developers." Furthermore, games that are sold through the Epic Games Store that have been built using Epic's Unreal Engine will not be subject to the 5% fee the company collects when these games are sold on platforms like Steam. 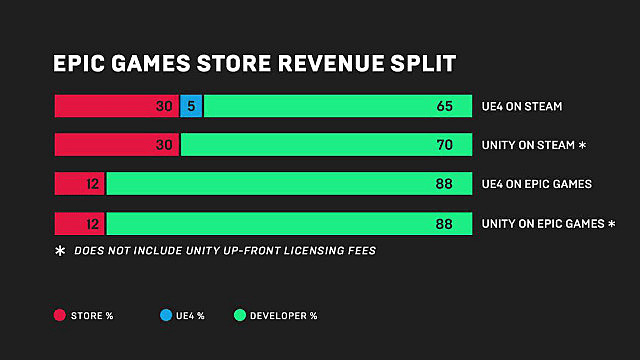 This does not preclude games built with Unity from being distributed on Epic's platform, but it does give developers that are using Unreal an additional incentive. While it may be a while before Epic's new platform comes anywhere near rivaling the juggernaut that is Steam, the company's focus on increased revenue for developers is certain to turn some heads. At the very least, the Epic Games Store will stand against Valve's platform as some much-needed competition, and, hopefully, it will make it increasingly possible for developers to work on smaller-scale, indie projects.